The 2017 Nonwovens Network seminar will explore some of the many routes that are being taken by manufacturers to exploit existing and new markets. It is interesting to note that the Nonwovens Industry is the fastest growing area in the field of Textiles. As engineered materials, Nonwovens are in a prime position to allow new efficiencies in so many different areas: automotive manufacturing, insulation, packaging, furniture, beds and bedding, sports wear and shoes, medical applications and wipes, geo applications and horticulture to name but few. The adoption of pioneering raw materials and technologies is making this possible, and the seminar will touch on all of these bases in the drive for more efficient and ultimately, sustainable products. This year’s seminar will take place on June 29th at the Cedar Court Hotel, Bradford. We will be holding our 20th Annual Christmas Dinner on Thursday 1st December 2016 at The Holiday Inn, Brighouse. 9.45pm - Close of Dinner and "the bar is open"
Tackling Brexit is such a thorny issue with mixed opinion from all sectors of Government, Industry and the community at large. The Nonwovens Network is therefore attempting to address ways forward, now that the British people have chosen to leave the EU. We have therefore invited people who are perhaps closer to understanding the consequences of the Brexit vote to speak at this event. Elizabeth Fox - Executive Director of the National Childrenswear Association of Great Britain and Ireland. Based in London, Liz has considerable experience of the EU and its Committees and functions. Amjad Bashir - MEP for Yorkshire and the Humber. Amjad, Conservative Spokesman for Small and Medium-sized Enterprises, has first-hand, critical knowledge of the ways in which the EU is managed. Bill Macbeth - Managing Director of the Textile Centre of Excellence. and co-operate with Europe, following the decision to leave. To book your place please complete the attached booking form and return to Dinah Wharton. Nonwovens is fast becoming the major growth industry in Textiles in the UK and whilst many companies undertake training this does not lead to any formal qualification. The Nonwovens Network has been working for some considerable time in order to address the skills needs of the current and future workforce, and have developed a new apprentice programme which will be launched next month. We have teamed up with the Textile Centre of Excellence to prepare a programme that meets the specific needs of nonwovens companies and that complies with the requirements for formal Government-sponsored apprenticeships, with the associated funding support and recognised qualifications. The ‘Diploma in Textile Nonwoven Manufacturing’ will be an industry-based programme to develop key competences on the job, supported with classroom-based studies to embed knowledge. The training modules have been developed based on the perceived need of companies across the nonwovens sector. To find out how this new apprenticeship can help your company to develop the skills you need to compete in the future come to our launch event at the Textile Centre on Thursday 23rd June 2016 from 2pm until 3.30pm. The event will outline the detail of programme content, the delivery arrangements, funding and start dates for the first group. We are delighted to announce that Nigel Wright, Syngenta and Geoff Rostron, IFG Drake will be giving their views on apprentice training. A light buffet will be provided so please take the time to come and listen to our plans and to discuss the idea with other companies and the programme delivery team. This year, Nonwovens Network Chairman, Christine Wilkinson has been awarded Membership of the Order of the British Empire (MBE), in HM the Queen’s Birthday Honours List, for Services to the Textile Industry. Chris was born in Thurstonland, attended Holme Valley Grammar School, and has lived in Shepley for the past 30 years. She has had long career in textiles. After studying the subject for three years, she joined ICI Fibres in Harrogate working in their Man Made Fibres Division when their product portfolio included Polyester, Nylon and Polypropylene. She then took up an appointment as a Lecturer in Textile Technology at Huddersfield Polytechnic where she rose through the ranks to Principal Lecturer and Acting Head of Department of Textile Industries. Chris then returned to Industry, as Director of Ledacare, the medical division of Cosmopolitan Textiles, and then as Head of Education and Training with the British Textile Technology Group. She is now involved with the University of Leeds, heading up their short course training programmes in Textile Science and Technology. Chris holds a Master of Philosophy Degree, is a Chartered Textile Technologist, and an Associate and Service Medal holder of the International Textile Institute. She has been Chairman of the Huddersfield Section and Secretary of the Yorkshire Section of the Textile Institute, and also held the position of Chairman of the TI Quality Group. She currently holds positions on their Medals & Awards and Professional and Educational Affairs Committees. Chris is also involved with the Textile Institutes Short Course Training programmes. One of Chris’ greatest achievements has been her work with the Nonwovens Network UK. She is a founder member, long term secretary, and currently Chairman. The Nonwovens Network is an association set up 20 years ago at the request of the Nonwovens Industry, specifically for the good of the UK Nonwovens Industry. To this end the network holds an annual seminar, an annual dinner, assists the Industry in research and development, and is currently engaged in the provision of Apprenticeship training. This is an Industry that has doubled its output in the past 18 years, and is the fastest growing sector of the UK Textile Industry. In 2012, Chris was appointed the first woman President of the Huddersfield Textile Society. Founded 120 years ago , with a view to providing ‘a common meeting ground for our future leaders’. To this end its aims of, ‘ encouraging young people and promoting good fellowship among its members, to be achieved by arranging meetings and excursions for the reading and discussion of papers on textile and allied subjects’, still prevail today. From its inception, the HTS has awarded prizes to students in the field of Textile Technology, Design and Fashion from the Textile Training Centre which is responsible for apprenticeship training, and the University of Huddersfield. We are pleased to announce an additional speaker – Steve Spartley, Business Manager of NDC Technologies is now giving a presentation at the Seminar. The response to our invitation to members of the network to introduce themselves and their company at this year's event has been very successful and the seminar brochure will be available shortly to book your place. To all members both past and present who have not taken up this opportunity, we would like to extend an invitation to you to bring along your company information with you to distribute to the delegates on the day, free of charge. If anyone would who would like to have a table top demo free of charge, this can also be arranged. So that we can accommodate all of the above, please contact Dinah as soon as possible so that we can make sure we have the space available at the hotel. We will be circulating this event to the widest possible audience through direct and public announcements. 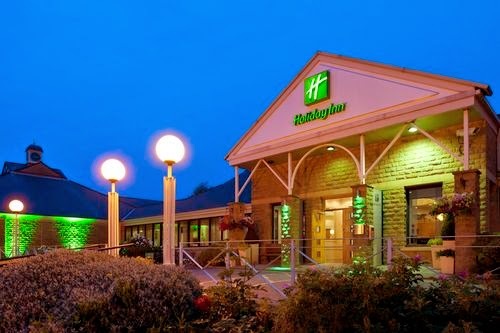 Our next event is the 18th Annual Dinner, to be held on Thursday 4th December at The Holiday Inn, Brighouse, West Yorkshire. For further details please contact Dinah Wharton. 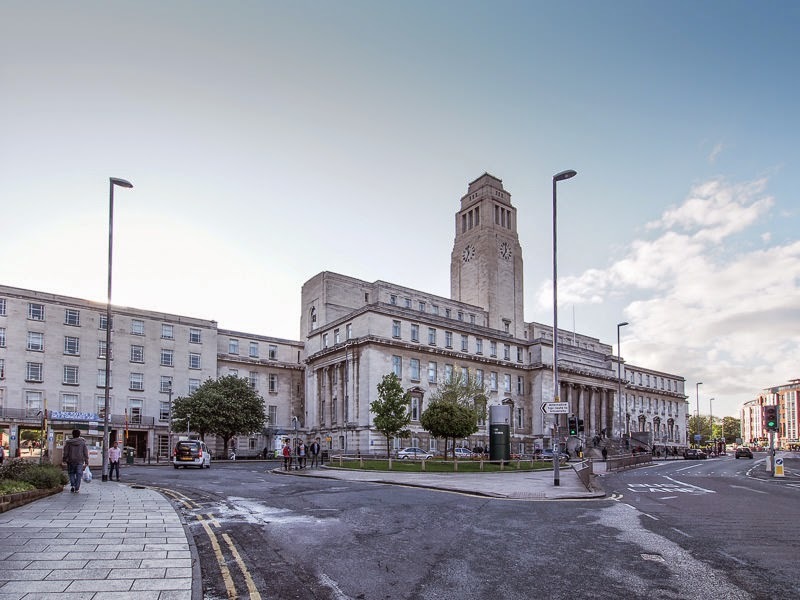 The University of Leeds has just released their latest Textile Training brochure. Please see our 'Training' page for more information.